It’s the same with all well-used and important equipment, it’s essential to perform simple, regular maintenance procedures. 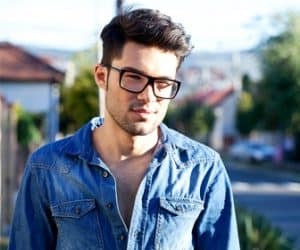 A heat press is a durable piece of machinery but there are steps you can take to increase the life and performance of your heat press, and since it could have cost you a thousand dollars or more, it’s worth looking after it. There are three elements to understanding heat pressing; temperature, time and pressure. Experiment with these three variables and you will soon achieve successful results. For example, different fabrics have different melting points. You can not use the same temperature for all fabrics. So, check before you start, the correct temperature for your chosen fabric and make sure the ink is suitable. 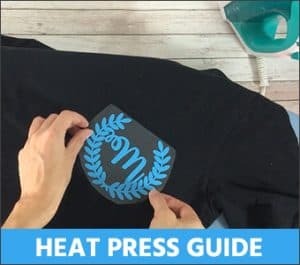 There are a couple of “how to use” tips, now let’s look at effective maintenance for your heat press. The heating elements are coiled throughout the upper platen of the heat press, spaced no more than 2 inches apart, ensuring constant heat to provide even temperature edge to edge when heat printing. The top tip for the heating element is to keep it clean. In most installations cleaning the heating element only happens after a transfer is flipped over and pressed causing a gooey mess! 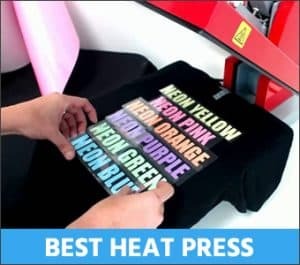 To remove ink from the heating element, simply use a piece of flannel or soft fabric and clean off the melted ink while the press is still hot but be careful not to get burned. If cleaning off the ink while the machine is hot doesn’t work, turn off the press and after it’s cool, use a standard household surface cleaner or solvent recommended by the manufacturer and wipe off the ink residue using a soft piece of flannel. Don’t use a metal scraper or abrasive materials to clean the heat element. The key to even pressure is the way the upper platen is engineered. A center pressure adjustment, coupled with a floating heat platen ensures a “no-pinch” application result regardless of the thickness of the application substrate. To make sure you have even pressure, place pieces of paper at each corner of the lower platen. Lock the lower platen into place, then try to remove the sheets of paper. If any of the pieces of paper slide out easily, you have uneven pressure. To lubricate your heat press, use a high heat and extreme pressure lubricant or a white grease and apply it to the pistons and rods of your heat press. This will help the lowering and lifting of the platens become a smoother motion. Apply the lubricant with either a cotton swab or a rag. You should only need to do this about once a year. 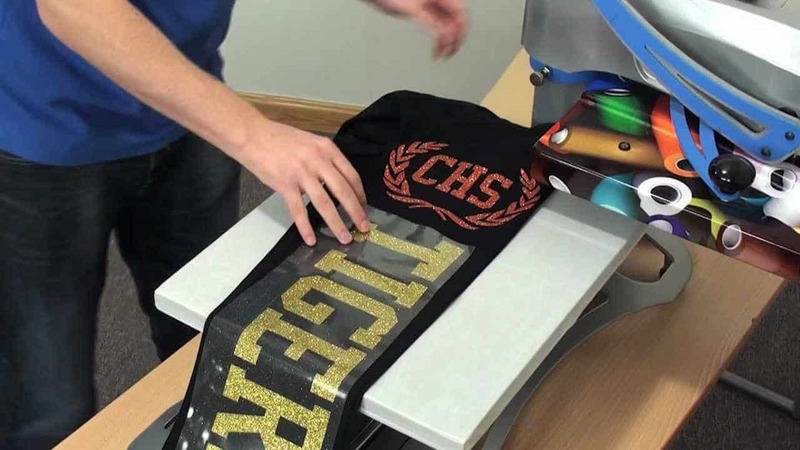 However, depending on how often you use your heat press, it’s certainly okay to do it more than once a year. This will avoid developing dry rusted pivots that will cause wear to your press. The cutting strips on a vinyl cutter should be replaced once a year or more often if you are cutting high volumes. If possible, clean the upper platen after every job, at the end of the day would be good or at least once a week. Power off the machine and let it cool down. Excess ink, adhesives, and other residue can build up which could affect the next job. Wiping the platen while hot with a clean, dry cloth is normally sufficient but, for more stubborn residues, you can use a small amount of a mineral acid on a soft cloth. Never use mineral acid when the platen is hot, as it is flammable. Never use anything rough or sharp, like abrasive pads or knives, to remove residues from the platen. All these items will damage the Teflon coating. A clean platen provides a clean and smooth surface which is ideal for the heat transfer process, distributing the heat and pressure evenly. Check out the video below on how to clean your heat press’ platen, great tutorial! The lower platen or the silicon board plays a crucial part in the transfer of designs. It is engineered to provide even pressure on the entire surface. It can get damaged or punctured by pressing sharper items in the press. Also, the corners get destroyed after some usage by simple loading and unloading. All of which can result in creating uneven pressure on the garment. To avoid such a situation always use the transfer media with a Teflon layer. 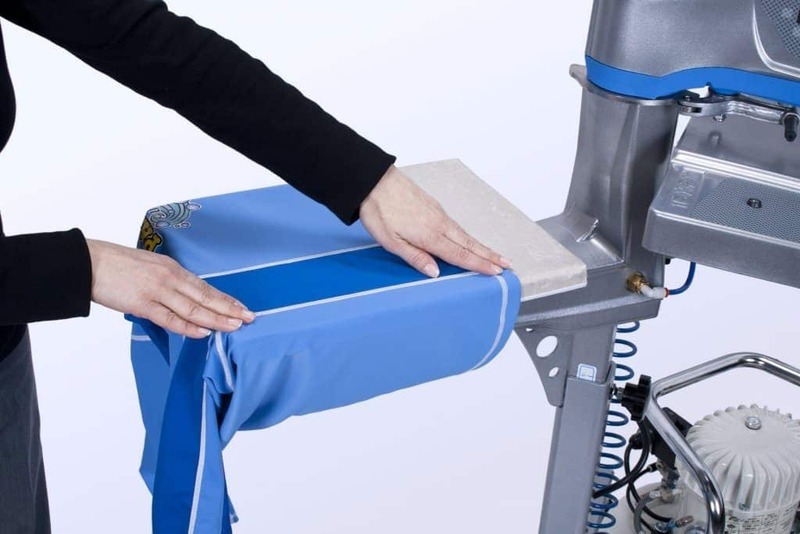 This will also let you easily slide your garment under the platen even quicker. To protect your platens and make them last longer, you can use Teflon. Teflon covers act like a mattress cover, enclosing the lower platen. Teflon sheets can be placed over the top of your transfers to prevent then sticking to the upper platen. Teflon pillows can be placed underneath the item you are applying the transfer to. In all cases, the Teflon can be reused with many transfers but there will come a time when you will need to replace them, when they are torn or cracked. When the surface of your lower platen is cracked, dented, punctured, warped, chipped, or deformed in anyway, it may be time to replace it. Replacing a lower platen or even just the rubber pad is much cheaper than replacing the whole heat press. Transfers need a flat and smooth surface to ensure even pressure, and when the surface is deformed, even pressure is hard to maintain. This applies to automatic heat presses. They operate by using compressed air which is sucked in from outside the machine, and it contains a lot of dust and dirt particles which can clog up the air system. If you have an air operated heat press, be sure to keep your airlines free from moisture. A simple solution is to install a water trap on the airline to capture the water before the air goes into the machine. Moisture laden air can damage air valves and internal components. Check the air filters regularly and renew them as necessary. Also, replace the desiccant air drier if it’s used to prevent the moisture jamming and damaging the air pipes. Clean your work area and equipment before and after each job. All sorts of small debris can be transferred to the substrate when heat pressing. It may seem like a chore, but it will pay off in the long run. 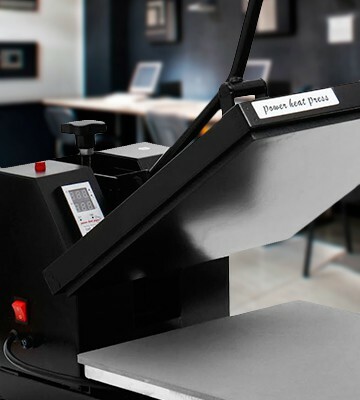 If you are using a heat press for your business, it is essential that you keep it well maintained. Regular maintenance will mean your press will run smoothly and last longer. Can You Heat Press on Velvet?